My Autobiography in Craft- Part 1. For me, craft has always been about the process. Since I was young I’ve been drawn to learning the process in which things around me are made. I used to make paper sculptures, like giraffes and dolls, and even a T.V. once when I was about six years old. 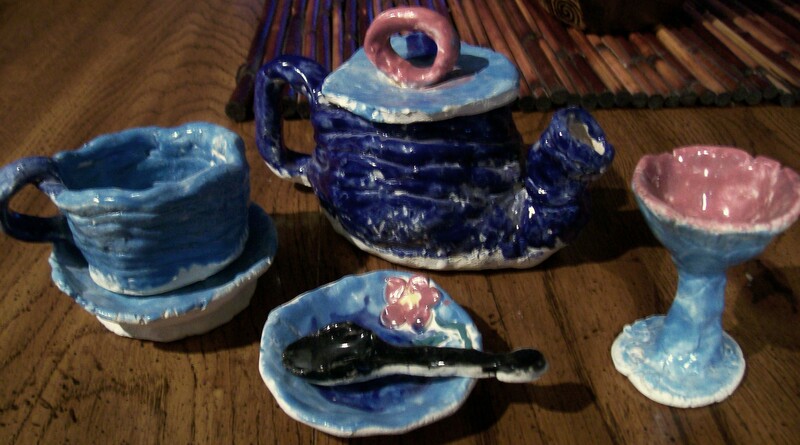 My first dabble in ceramics was when I was seven, and our teacher took us to the school’s ceramic studio for a day. She told us to make a pinch bowl first, and then let us make whatever we wanted. I loved the idea of something I made being able to be used (albeit the things I made then were heavy and too small to hold anything realistic). She took us in a week later to glaze the things we made, but after that I didn’t do anything with clay until I reached my second year of college. Instead, I made use of a wide variety of craft materials. I started folding paper at age seven, and my grandma taught me to crochet and knit at age nine. At age eleven I was learning macramé and at age twelve I had started working with wire to make my own jewelry, including a non-pierced earring design that I still wear today at age twenty-two (most people don’t notice that my ears aren’t actually pierced). At age twelve, I was also taking piano lessons and simultaneously composing music on my own. 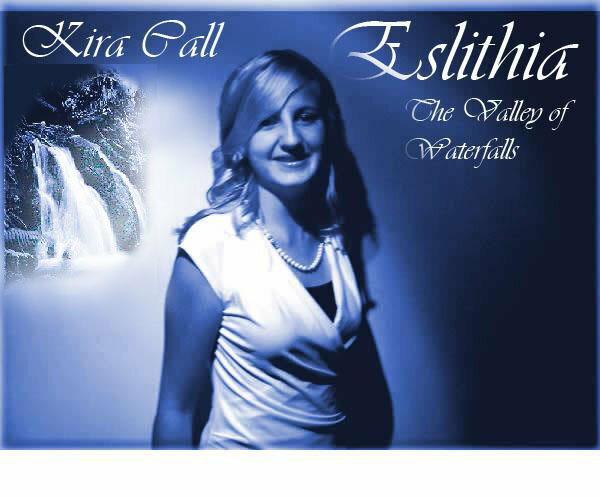 I recorded an entire album of self-composed new age instrumental piano music, called “Eslithia” when I was fourteen. 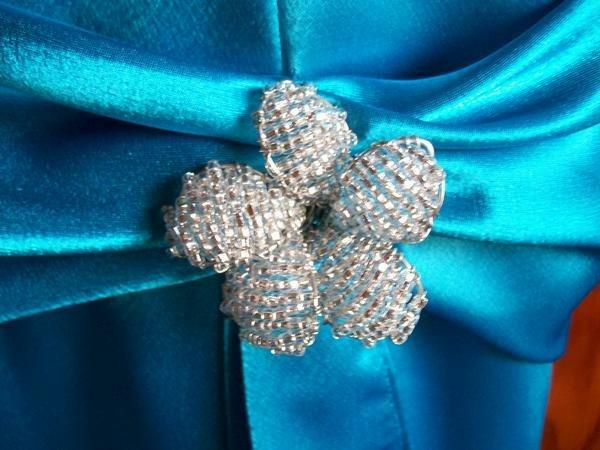 At age fourteen, I started using my wire-working skills and combined it with my new interest in glass seed beads and started making small-scale sculptures such as flowers and animals and even a few small flower bud vases by stringing the beads on thin wire and wrapping it around a stronger wire frame. 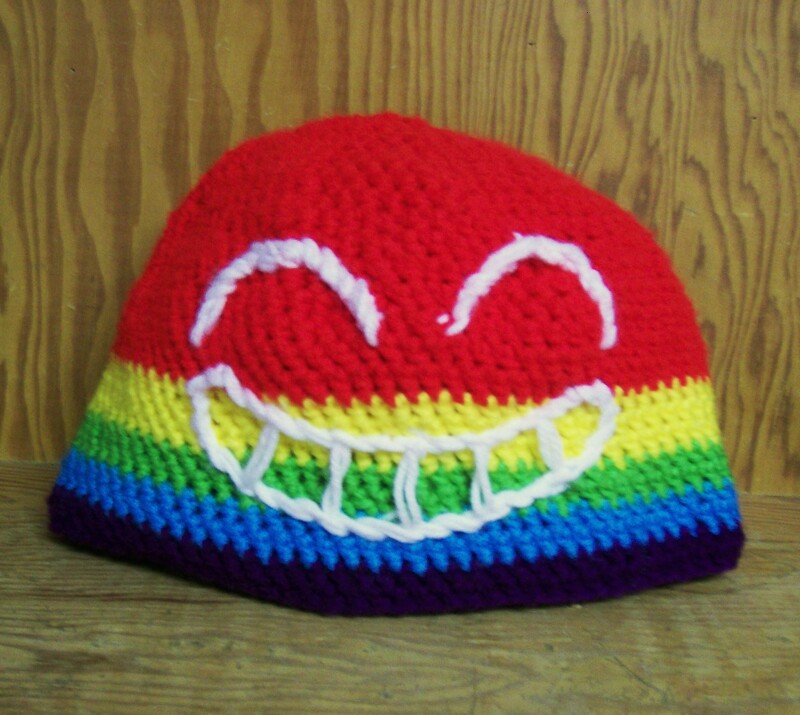 I yearned for a functional medium, but I was still five years away from discovering my true craft medium. I continued with all of the different mediums I had learned throughout the years, and I also continued with music. I started learning how to play the guitar at age fourteen. I was part of my high school’s ballroom dance team, the school’s junior women’s choir, and the school’s musical production club. I still found time to work on craft projects at home and fill my sketchbooks during classes. I started sewing clothes for myself out of curiosity. Instead of using store-bought patterns, I looked at the clothes I already owned and created cutout patterns by seeing the different shapes. I painted the shirts I made, and soon had about ten different ones that I would wear to school. In combination with my sculptural jewelry, I had a unique style of my own. I started writing lyrical songs with my guitar in my Sophomore year of high school, and in my Junior year, I won the high school’s talent show with my first complete original song, “Show Me the Simple Things”. This entry was posted in Art, Ceramics, Creative Writing, Design, Sculpture, Uncategorized and tagged artist bio, bead work, ceramic art, Eslithia, jewelry making, kira call. Bookmark the permalink. 1 Response to My Autobiography in Craft- Part 1.